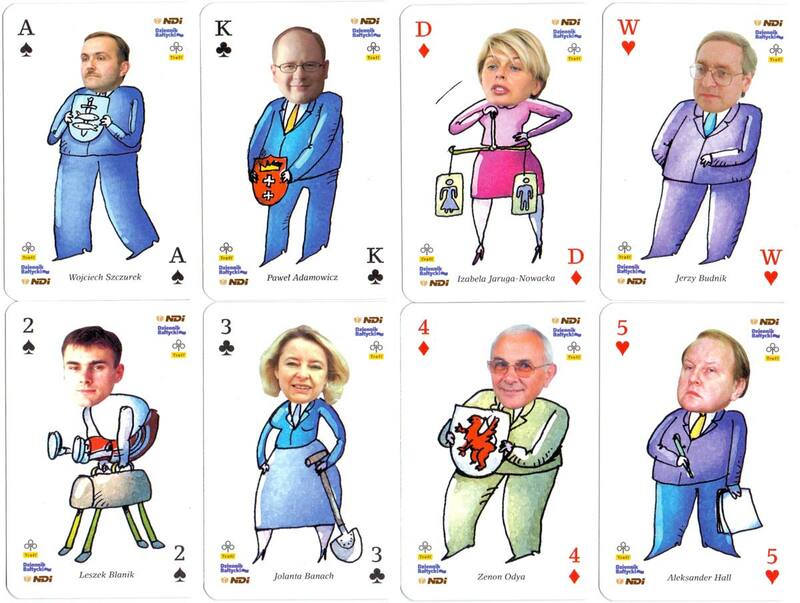 Pomorski Poker (Pomeranian Poker) was published for NDI Dziennik Baltycki, with photo portraits of NDI members on each card: 55 well-known characters from the Pomerania region (south shore of the Baltic Sea) including politicians, media and culture personalities, athletes, professors, surgeons, entrepreneurial women, etc. 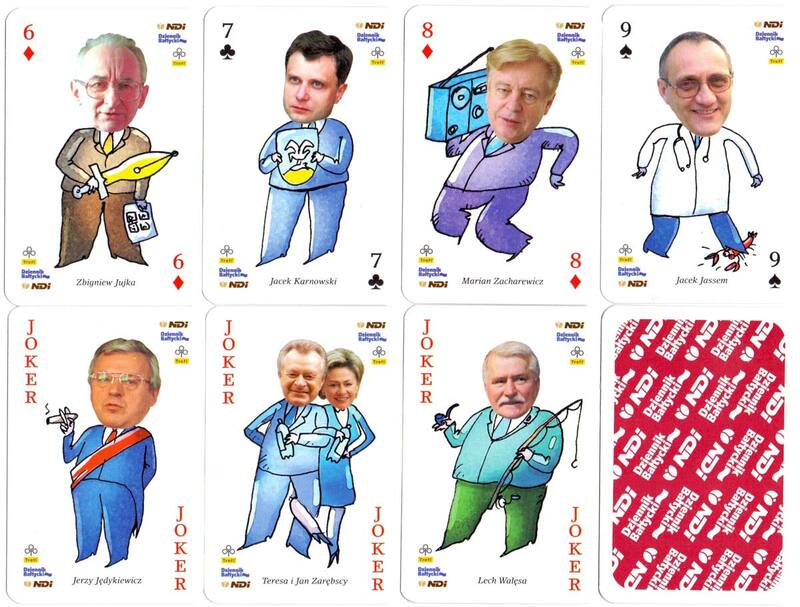 Not exactly an “Official Baltic” hall of fame, merely a popular gallery, each card has a photo mugshot of the celebrity with the rest of the body drawn in by hand. 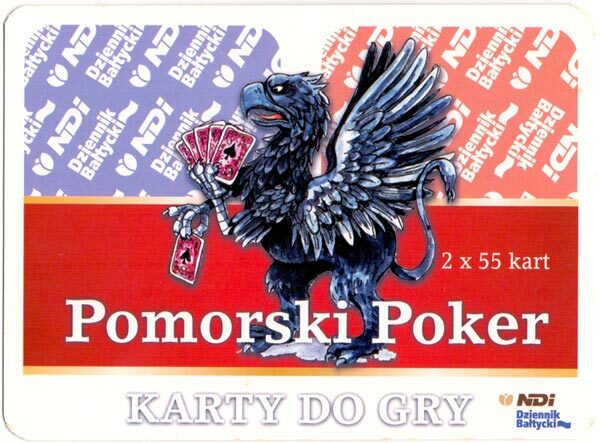 Above: Pomorski Poker (Pomeranian Poker) published by KZWP-Trefl, c.2003. The set has two packs with matching typographical back designs inside a double plastic case.